Measured SEM is a small search engine marketing services company. We focus specifically on search engine optimization and pay-per click campaign management, and as a result have deep expertise in these areas. Founders Tom Demers and Ken Lyons have years of experience in search, as well as having served as marketing managers, directors, and small business owners. This means that we have a combination of specialized search knowledge as well as an understanding of how to meet broader marketing and business objectives. We build practical, proven, cost-efficient campaigns that are designed to help grow your business. You can learn more about the company’s founders below. Tom Demers has over ten years of experience in search engine marketing, including as the Director of Marketing for search marketing software provider WordStream, Inc. 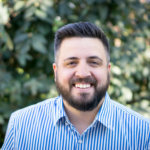 Prior to working at WordStream, he was an in-house SEO specialist and SEO Manager, worked as an SEO consultant for a search engine marketing agency, and has done independent organic and paid search engine marketing consulting for numerous clients. Tom lives in Billerica, MA about a half hour outside of Boston. When he’s not helping clients growth their businesses you can probably find him either driving his son to play pretty much every sport imaginable or driving his daughter to dance competitions, to clean up in karate tournaments, or to art class. You can get in touch with Tom via Email at tom at MeasuredSEM dot com, or you can follow him on Twitter @TomDemers. Ken Lyons has been an Internet marketer for over ten years, building his career as a search engine marketing expert both independently and as Director of Marketing at WordStream after Tom’s exit there. In addition to helping clients first-hand to grow their businesses through search, Ken has acted as supervisor to content managers and marketing professionals. When he’s not researching keywords and writing industry SEO articles, Ken is an avid musician and loves spending time with his family and friends at home in Arlington, MA. You can follow him on Twitter @KenJLyons.